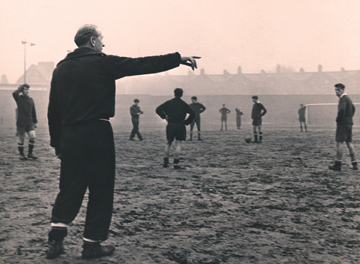 The emergence in the 1950s of talented footballers such as Duncan Edwards and Bobby Charlton was a result of the first truly comprehensive scouting and coaching operation English football had known. 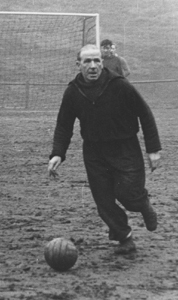 As a player Matt Busby had learned through bitter experience of the 'sink or swim' approach that prevailed at most football clubs and realised that the harnessing of the full talents of footballers required a more involved approach. If a player had a gambling or drinking problem for instance, this would affect his performance on a Saturday and would therefore become the club's problem. With this in mind he set out in management with the idea that footballers were not there just to play football. 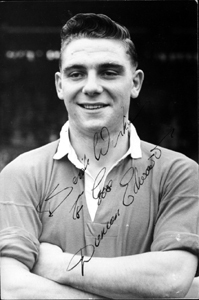 In Manchester United Busby found a club that had already made its express intention the development of a United first team composed entirely of Manchester players. To this end they had begun a junior section (MUJACS) before the war and spread their net in search of talent in the north-west. This approach was widened by Busby in the post-war years so that the most talented youngsters from all corners of the British Isles were gathered together to form what nowadays would be classed a 'school of excellence'. Yet the emergence of the Busby Babes was a social as much as a sporting phenmonenon. 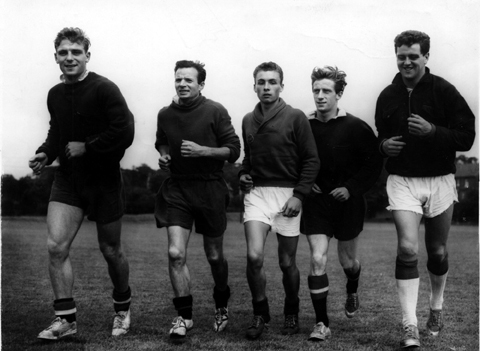 Not only did these young players receive expert football training but they were treated as part of a family, to them Manchester United became a 'home away from home'. 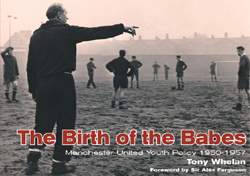 In The Birth of the Babes, current Manchester United Academy coach Tony Whelan examines not only the roots of Matt Busby's socialism, his approach to the care of his players, but illustrates the system of scouts, coaches and trainers that made Manchester United a prototype for the youth systems of today. Beautifully illustrated with photographs and memorablia culled from the private collections of many of the youth players of the time, The Birth of the Babes is essential reading for anyone interested in the pre-Munich era when United took English football by storm.